Actually, there was a 14th — Kelley Jones, no stranger to the Dark Knight himself. But why is he not in that round-up? Because, unbidden, he put together a complete column in tribute to his favorite Batman artist, Marshall Rogers. It’s such an elegant piece, it deserved to stand on its own — a testament to art moving an artist. We also just revealed the #3 pick in our TOP 13 BATMAN COUNTDOWN — and it’s the Steve Englehart-Rogers run, making it the top-ranked Detective story on the list. (Click here.) 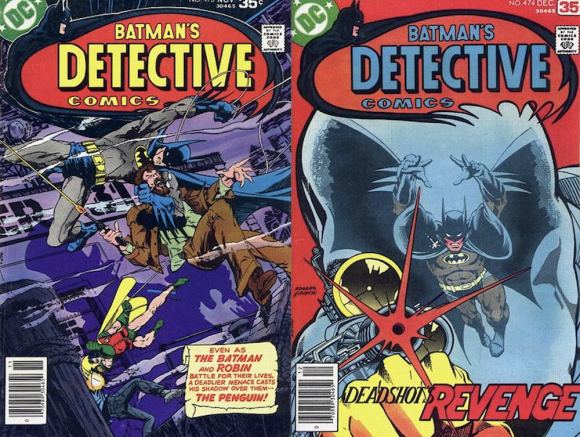 Not only that, artist Sandy Jarrell did a whiz-bang job revamping some of Rogers’ covers with the classic Detective Comics logo. Check them out by clicking here. But you have time for that in a bit. Whenever any questions are asked about the best this or that, I usually dismiss them. Time will tell on those questions, and it presupposes all the works in question have been seen and evaluated. Who remembers Seabury Quinn for example? Considered the greatest writer of horror fiction in the first half of the 20th century? No one. Or how about Victorien Sardou? The next Shakespeare he was called in the 19th century, wrote 70 plays, all smash hits. None of which are performed today. One of them is only known now, if at all, as the inspiration for Puccini’s opera Tosca. 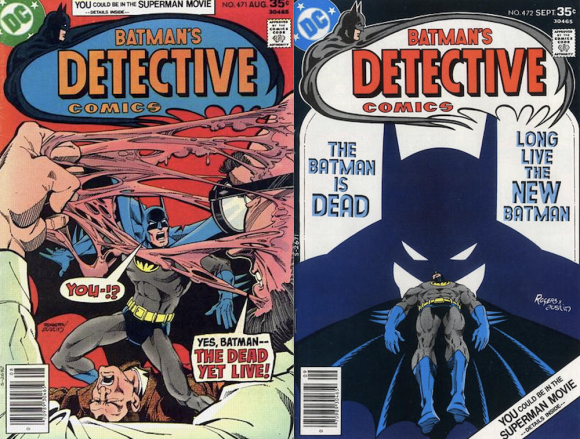 So, it’s with that in mind that I can easily say the best cover ever for Detective Comics, or Batman, or anything with a cover, is Detective Comics #475 — drawn by the greatest Batman artist ever, Marshall Rogers. Rogers’ cover, inked by Terry Austin, stops you — the first and most important thing it’s supposed to do. The art tells the viewer something weird, different and amazing is in that book. I can say that because that’s what happened to me when I first saw it. I just stared at it. At the time, I wasn’t a DC fan in the sense I would follow a title. Sure, I bought Wrightson and Adams and Kaluta — you know the drill. But I didn’t really follow the characters. Detective Comics #475 changed all that. Why? What made it work so well? I didn’t really know at the time I saw it, rather I came to understand years later when trying to accomplish the same goals #475 did. 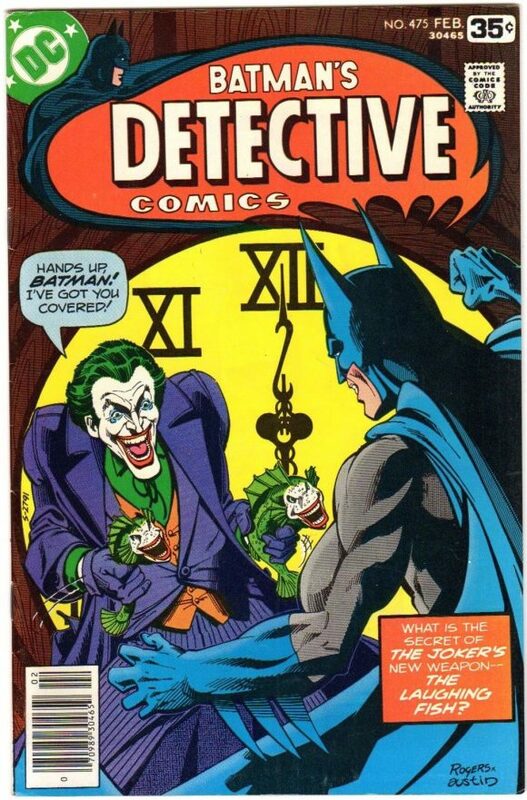 Marshall had Batman threatened by the Joker holding two bizarre fish with the same awful grin he had instead of real guns. It hit a tone of real menace, real insanity. And best of all it was done with sincerity, not overblown craziness, or out-of-place, over-the-top humor. I gave the last of my fortune and bought them too – and they were graced with equally great Marshall Rogers covers! Great covers for the greatest run in that title’s history. It’s so rare that the cover matches the interior, but then Marshall was a genius, so maybe it’s not so surprising. That afternoon, I became a Marshall Rogers fan, and DC fan, and a Batman fan. All of which I still am — even more so today, with Batman celebrating 80 years. All because of a great cover on a spinner rack. A cover that is definitive, seductive and magic. And that’s all it takes to be a favorite anything. 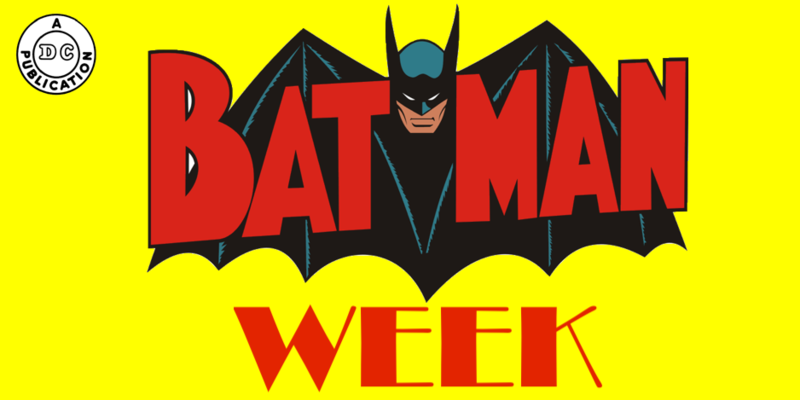 — The Complete 80th Anniversary TOP 13 BATMAN COUNTDOWN. Click here. The wrap around covers that Marshall Rogers did for the “Shadow of the Batman” reprint were equally spectacular!